DEVELOPMENT SITE. In the heart of Maple Ridge town core. Full services available. 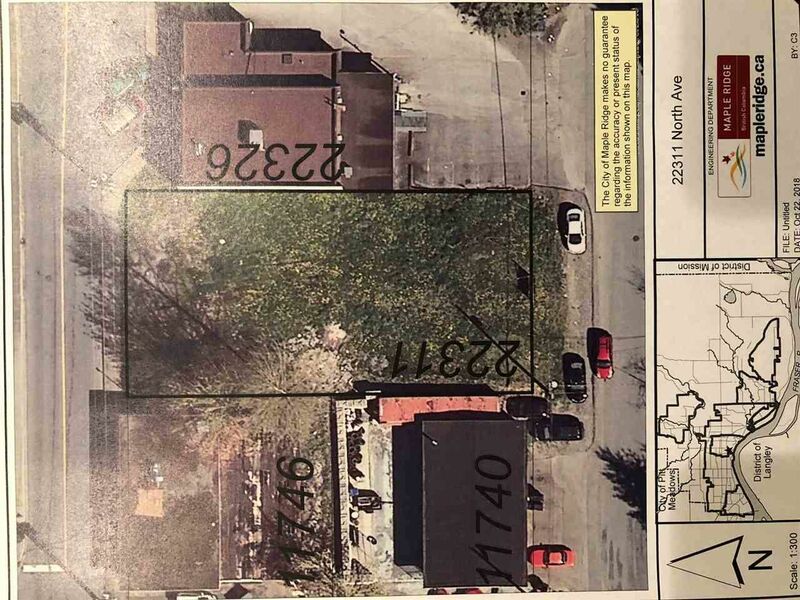 66x132==8712 sq ft level, cleared site Zones C-3 Town Core Commercial (mixed use of ground floor commercial plus condos above.) Two road frontages North Ave, & 117 Ave, Measurements are approximate and should be verified by the buyers if important to them. PL NWP155 LT 45 BLK 5 DL 398 LD 36. GROUP 1.